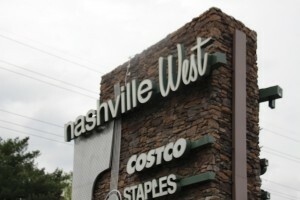 If you love character and charm of Nashville’s urban neighborhoods, but wouldn’t dream of being more than 5 minutes from big name groceries, this is the neighborhood you’re looking for. Situated in Nashville’s well known Western half this cozy neighborhood offers up cute brick cottages galore, more character than the Disney Channel, and quiet tree-lined streets all within the reaches of Nashville’s urban core. If that wasn’t enough, in the past few years, retail shopping has taken over Charlotte Pike, bringing some of the Nation’s best big name retailers to the edges of downtown and making this neighborhood as convenient as its suburban counterparts. If you love character and charm of Nashville’s urban neighborhoods, but wouldn’t dream of being more than 5 minutes from big name groceries, this is the neighborhood you’re looking for. Situated in Nashville’s well known Western half this cozy neighborhood offers up cute brick cottages galore, more character than the Disney Channel, and quiet tree-lined streets all within the reaches of Nashville’s urban core. If that wasn’t enough, in the past few years, retail shopping has taken over Charlotte Pike, bringing some of the Nation’s best big name retailers to the edges of downtown and making this neighborhood as convenient as its suburban counterparts.